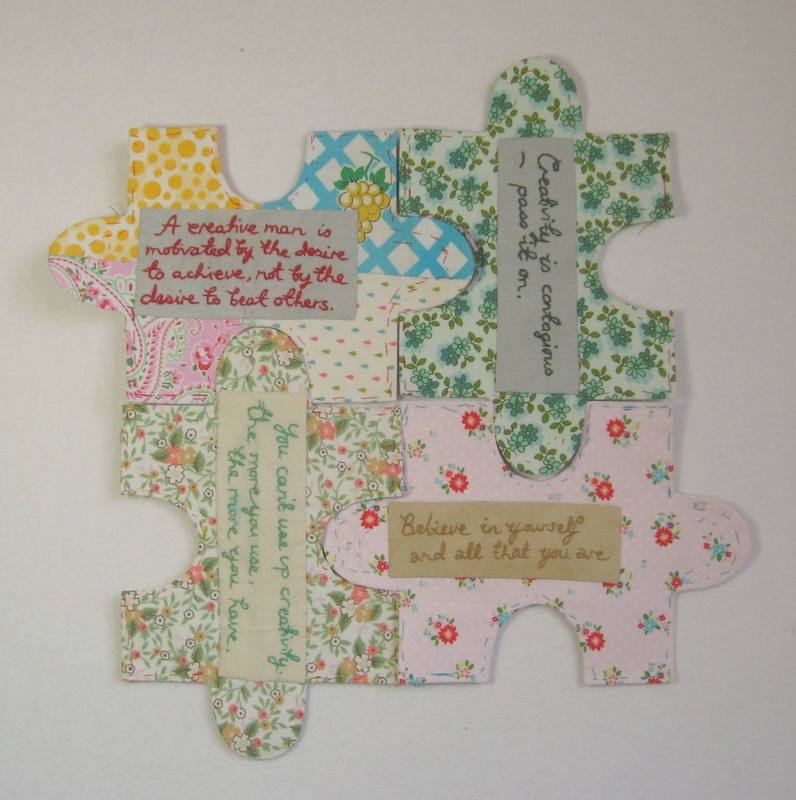 I’ve finished sewing some more of the jigsaw patchwork pieces for the Les Soeurs Anglaise competiton…. This is a piece of fabric that I bought recently,I really liked the green floral pattern. I chose a quote by Albert Einstein. The red stitches are tacking stitches and once the pieces are sewn together then they can be easily removed. 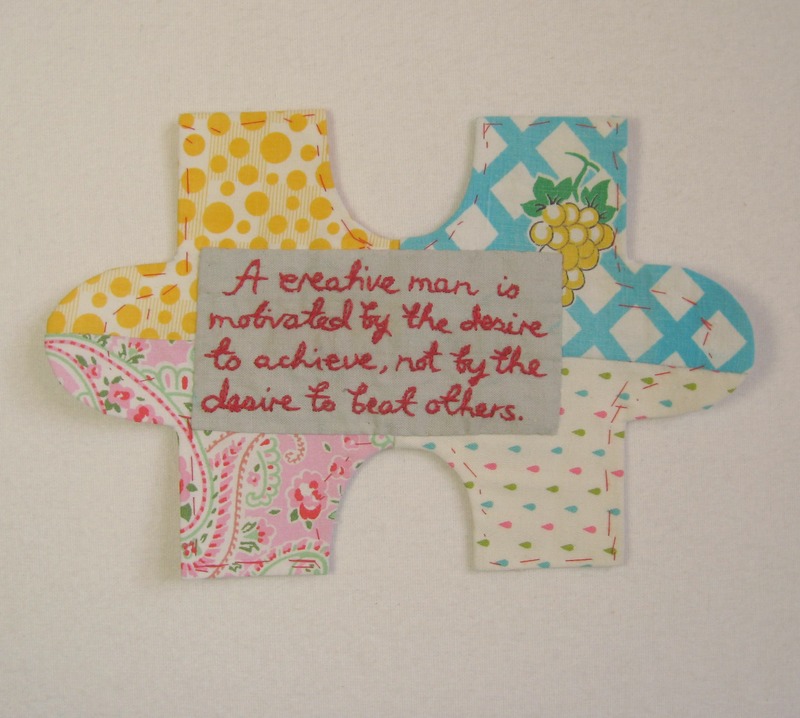 This is a quote by Sylvia Plath. It’s a quote that resonates as it is so easy to doubt what you are doing…. 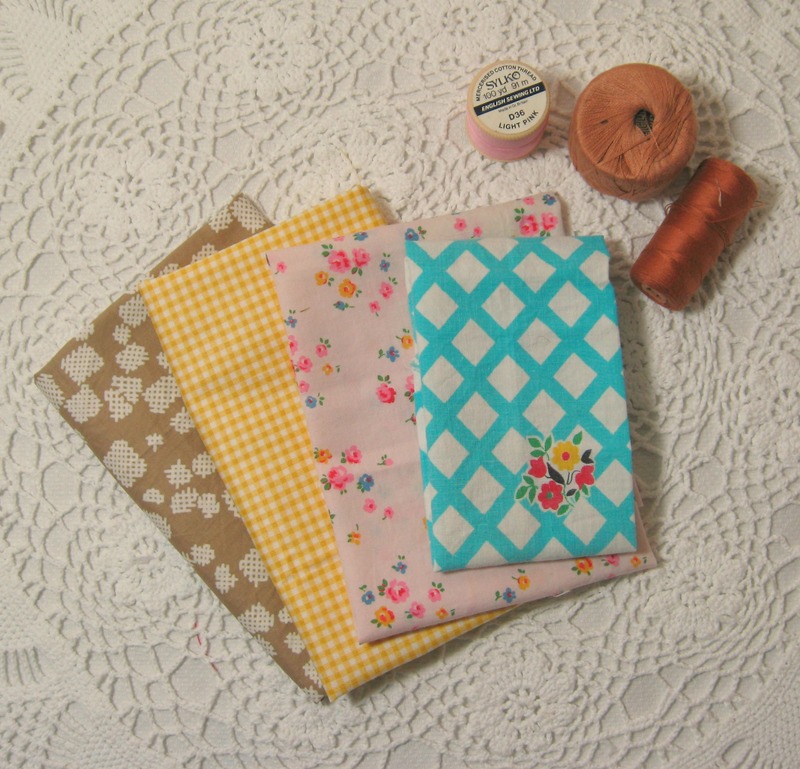 The patchwork is a bit of a mish mash of different coloured fabrics. 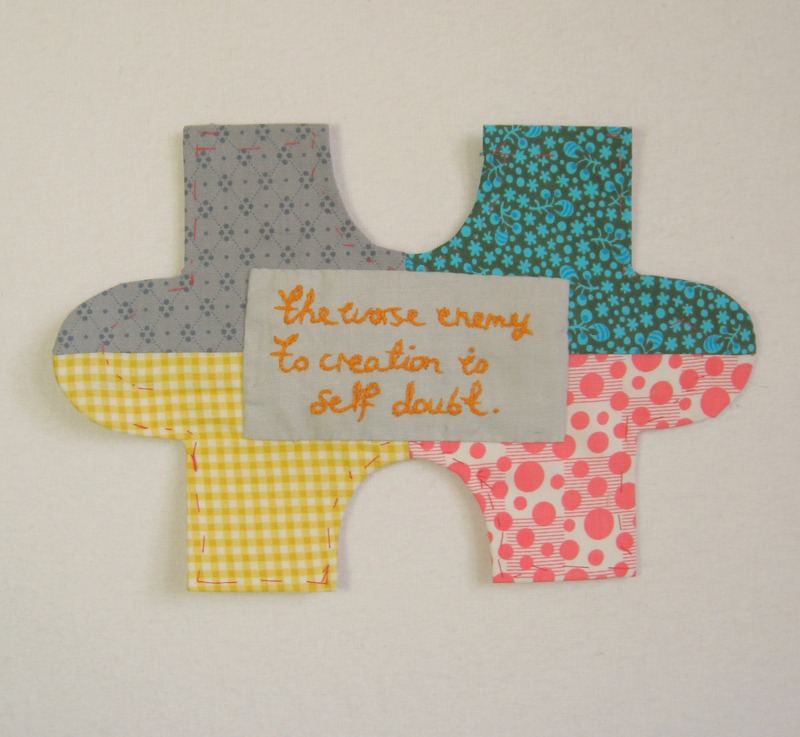 This is a quote by Ayn Rand…..
I’ve placed four patches together so you can get an idea of how they’ll look when all the pieces are joined together. 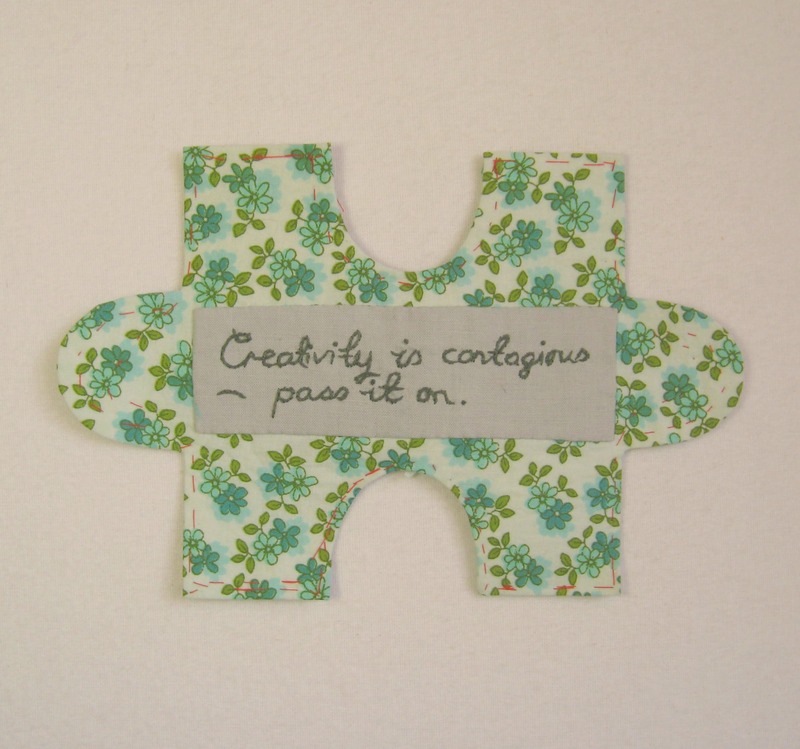 I’ve been sewing and embroidering jigsaw puzzle shaped pieces for Les Soeurs Anglais…. they are running a competition (deadline is the 10th April) which I think sounds totally brilliant. 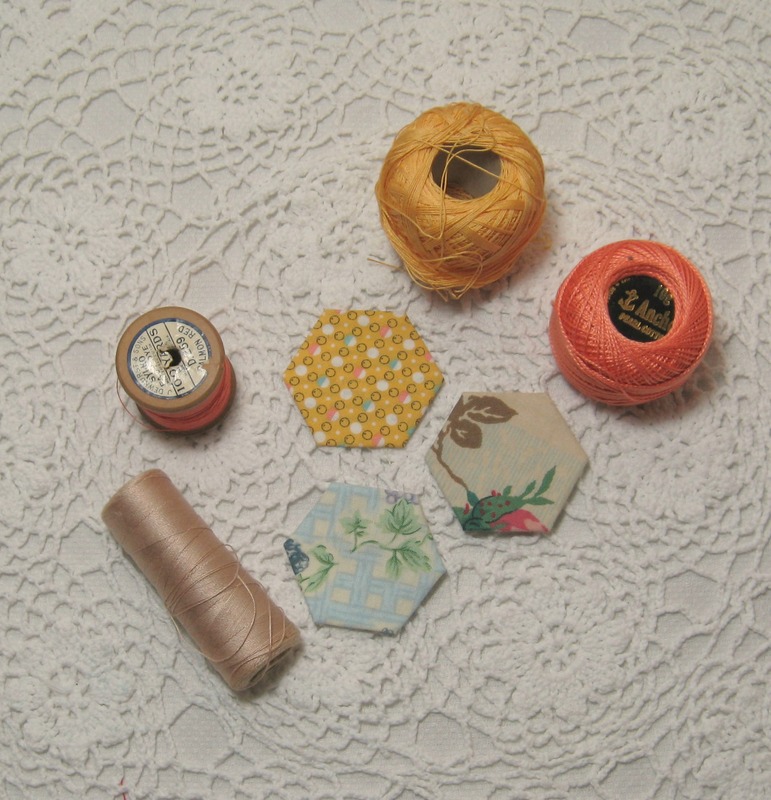 All the pieces received will be sewn into a quilt to raise funds for a childrens charity. You can enter more than once and by doing so you know your endeavours are going to a good cause. 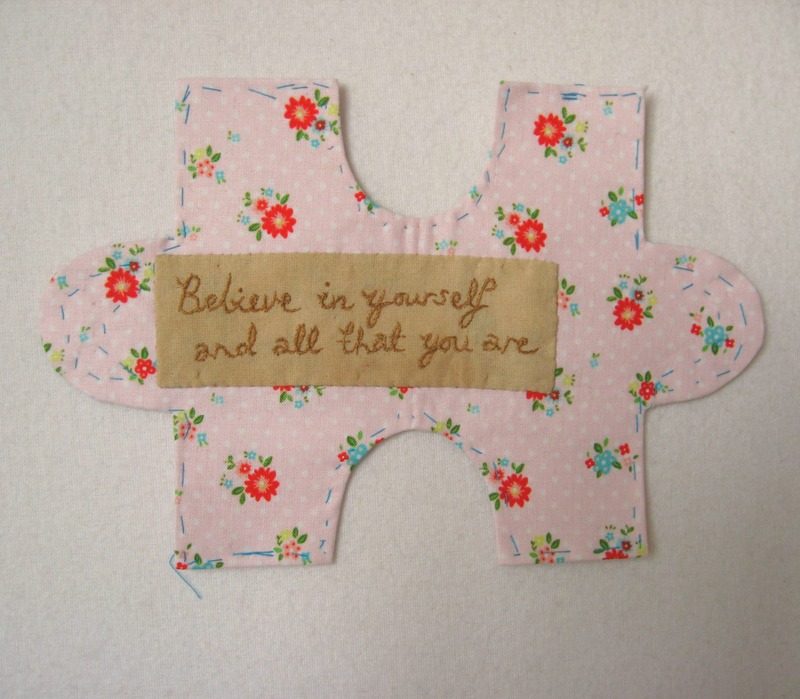 I’ve chosen to do the embroidery using a stem stitch as I find that suits my hand writing more than a back stitch. 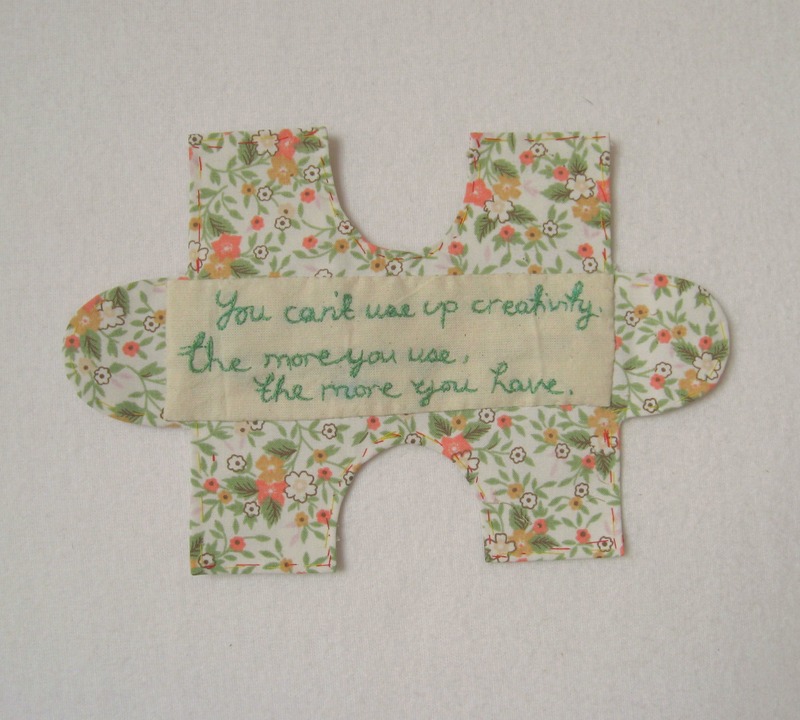 I love this quote by Maya Angelo…. it’s so inspiring. 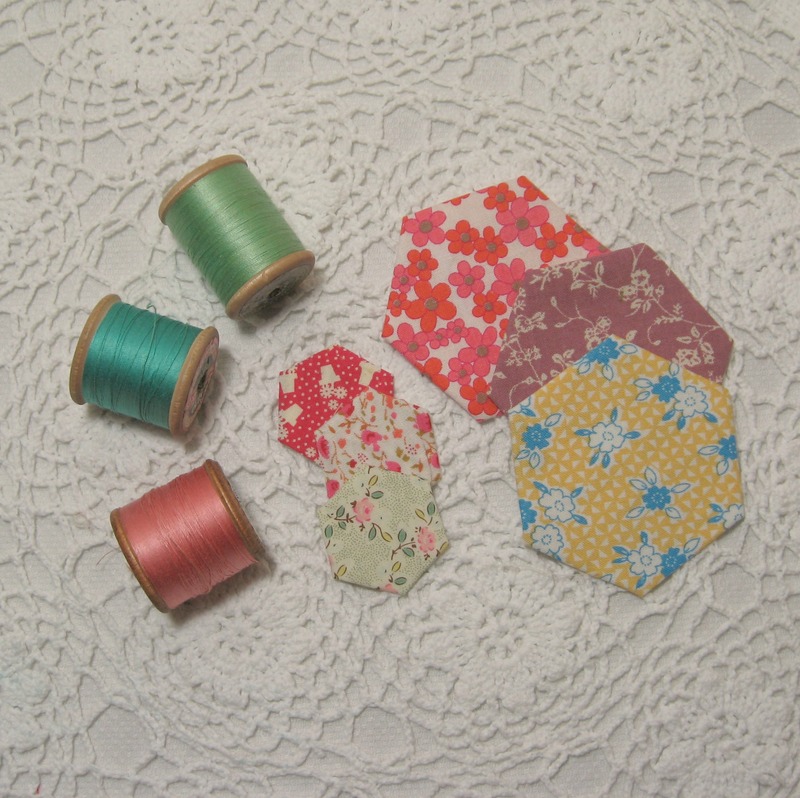 I’ve chosen to keep the patchwork shape very simple, no embellishments…. 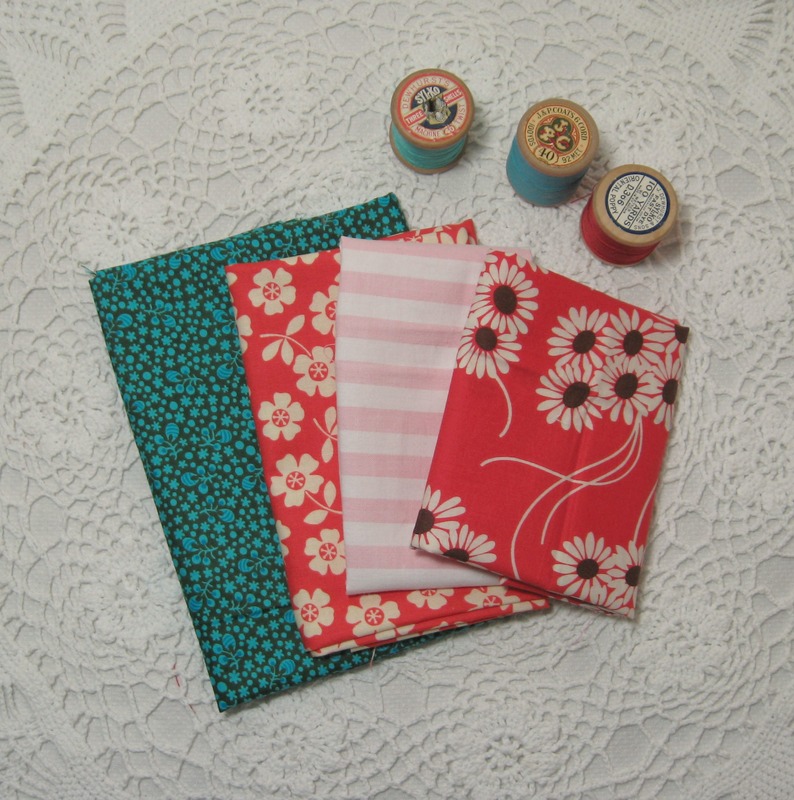 I know these are being sewn together for a quilt and I figure too much applique will get in the way of any quilting. One of my favourite creative blogs is les soeurs anglais….. I’m always inspired and uplifted creatively after reading their posts. I love reading about their events and workshops (maybe one day when I win the pools) which are taught by some of the most amazing people working with textiles today… in the meantime it’s enough to get to see what people have made when they have been there for, what looks like, some of the most inspirational times imaginable. At the moment they are running a competition which they write about here…. it sounds brilliant, so not only do you get the chance to win a place on a workshop but you are also able to contribute towards what I suspect will be either one massive quilt or a couple of smaller ones. Even if you don’t think you’ll be able to do a workshop why not make a couple of puzzle pieces for them as they are trying to raise money for such a wonderful charity. 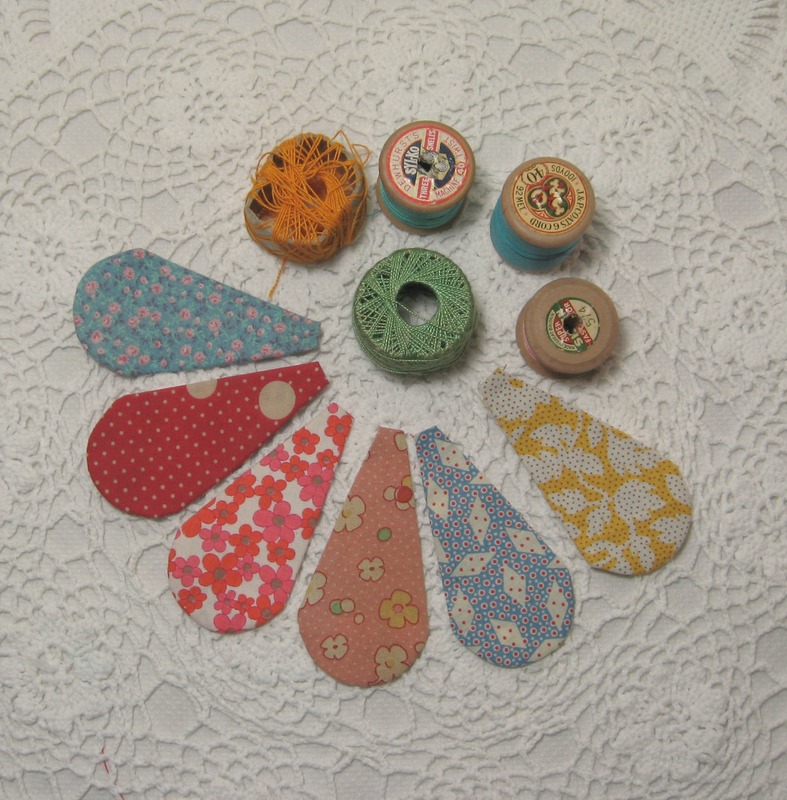 I try to do sewing that is totally pleasure (i.e. something for me) rather than business related in the evenings… and I think I’ve found the perfect project for the next few evenings…….